We are not allowed to publish more pictures, because of the secrecy! 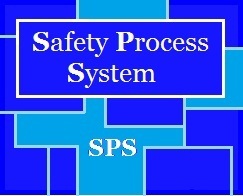 Our project, called "Safety Process System" includes the development and execution of a safety system in a process room of Infineon. Silicium wafers, which are used as baseplate for electrical elements are produced in this production unit. Dangerous radiation is released at the production of this wafers. Because of the fact, that this radiation is very harmful for the human organism, the safety stands in the foreground. During a not finished process it is important, that no employee may be able to enter the room (except specialtrained personnel with a unique key) and no irradiated element can leave the room. The production unit includes a set of different machines from different manufacturers. They have their own safety systems, but it is not connected to the safety systems of each other and there is only one emergency stop. It is our task to connect these machines, that there can be a total safety for all employees and machines. This means a so called programmable logic controller (short SPS) has to be programmed, that all parts of the production unit can work flawlessly together. For example, it should be ensured, that an employee can enter the process room only in the case that it is radiation free. In this situation the machines have to end their current process or even have to be stopped. We construct a safety system, which meets every condition to enable an accurate production and guarantees the safety of every employee. In the theoretical part is the programmable controller will be explained in general. This includes not only the general part, the set up, program and comparison of programmable controllers from different manufacturers. In the practical part, a comparison of various programming languages can be created for an application. In the theoretical part you should describe the design, the use and the selection criteria of sensors in a process room. In the practical part you should simulate the process room and the access conditions with LabView.